Thanks to an outpouring of support from new and upgrading members this MaxFunDrive, we did as you asked, and begged The Owl Guy for an interview. He declined our offer for a trip to LA, but he agreed to chat with us about his information-gathering strategy, the interplay of science and personal experience, and, of course... owls. Enter the owl book contest by liking us on Facebook, and sharing your owl art there. Tagged with Mike Clelland, UFOs, owls, birds, Aliens, Communion. 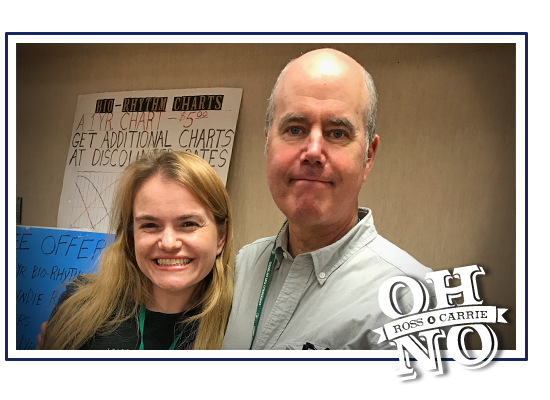 April 20, 2018 by Oh No Ross and Carrie.